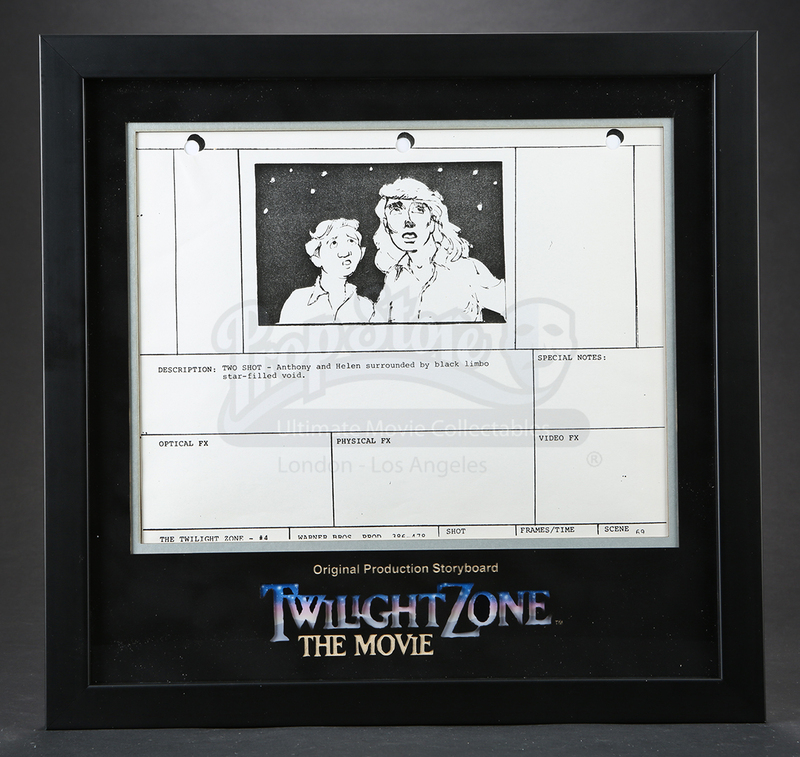 A framed storyboard copy made for the production of the multi-director collaboration Twilight Zone: The Movie. 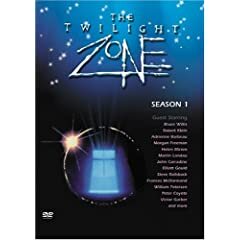 This tribute to the landmark science fiction series is split into four parts, each directed by Joe Dante, John Landis, Steven Spielberg, or George Miller. 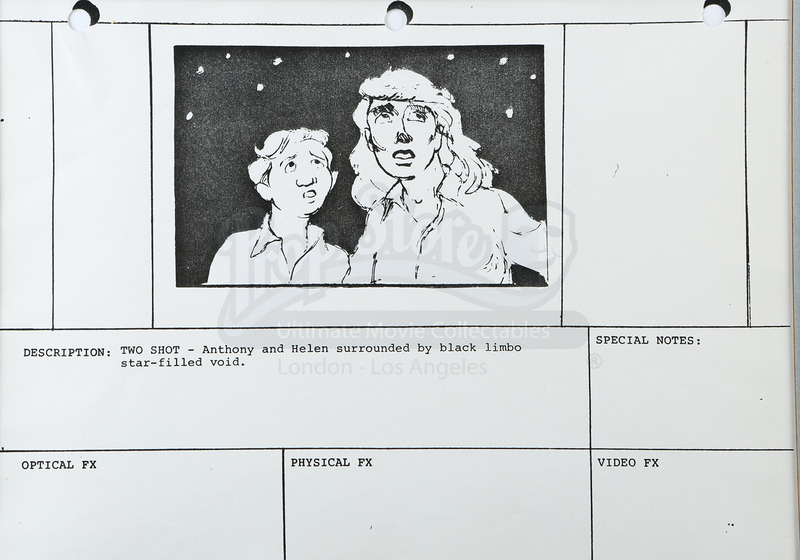 This storyboard has holes punched where it was grouped in a sequence, forming a comprehensive shot-by-shot version of the film's events. 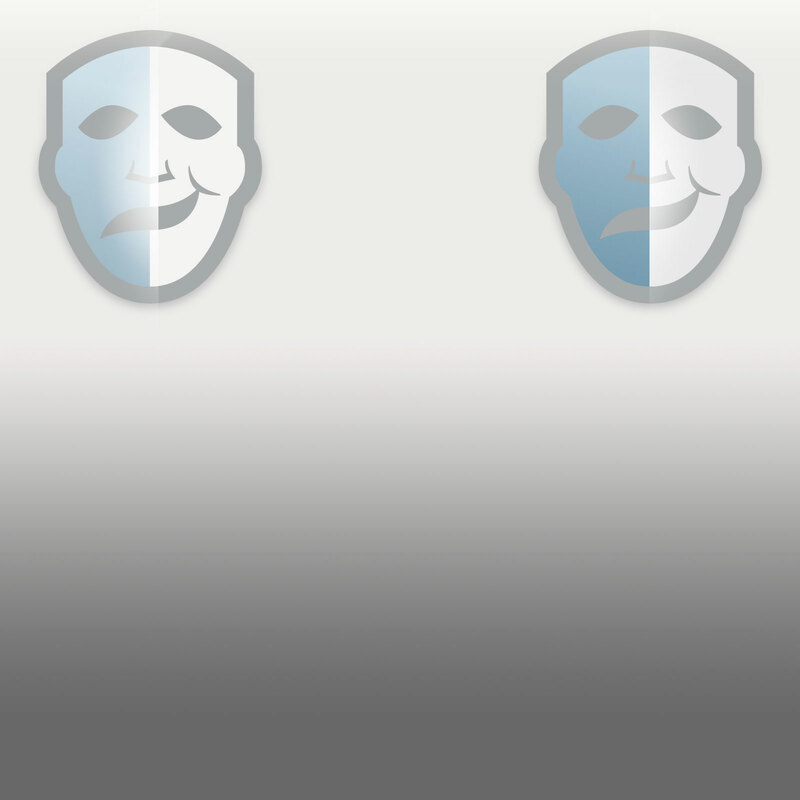 A brief description of the scene is printed along with an image of what is occurring. 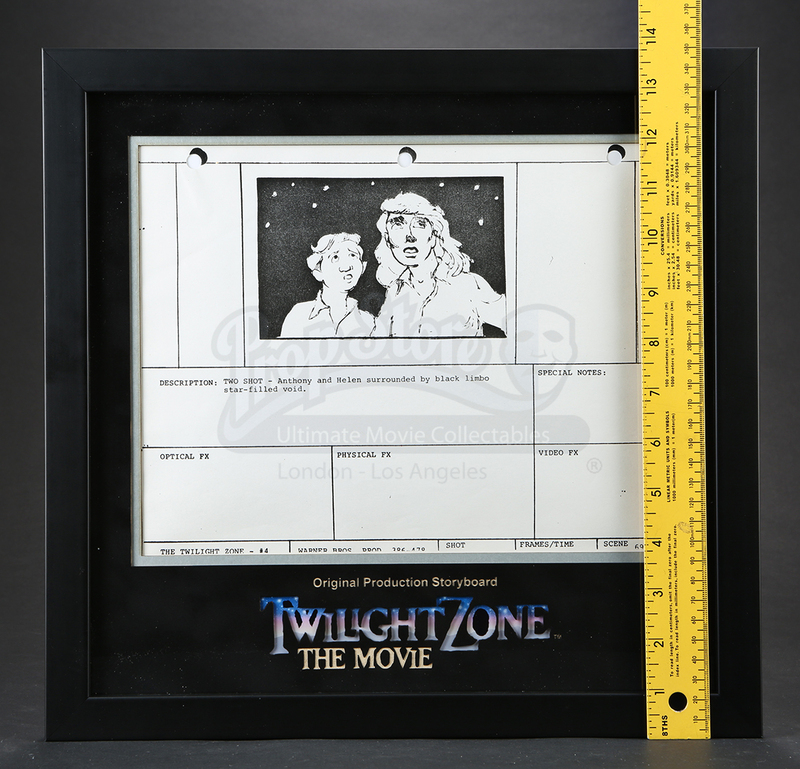 The storyboard comes beautifully presented in a custom built framed display with laser-cut mount board featuring the classic movie title. 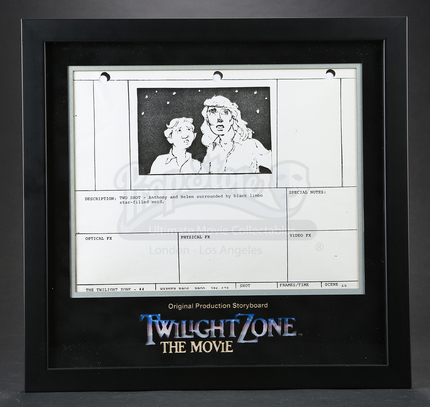 The frame measures 14.75" x 14.25" (37.5 cm x 36 cm) and is is in excellent condition.